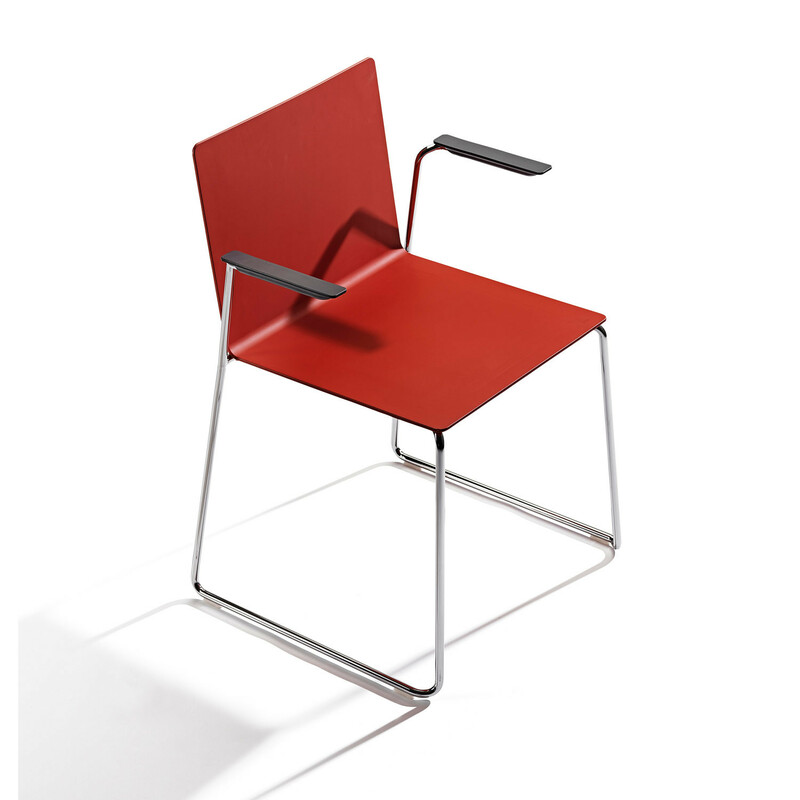 Dry Chair is a versatile seating solution designed for several segments of the contract market. 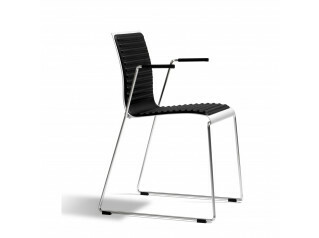 Light and stackable, with and without armrests, it can be used in almost all situations where large numbers of people have to be seated. 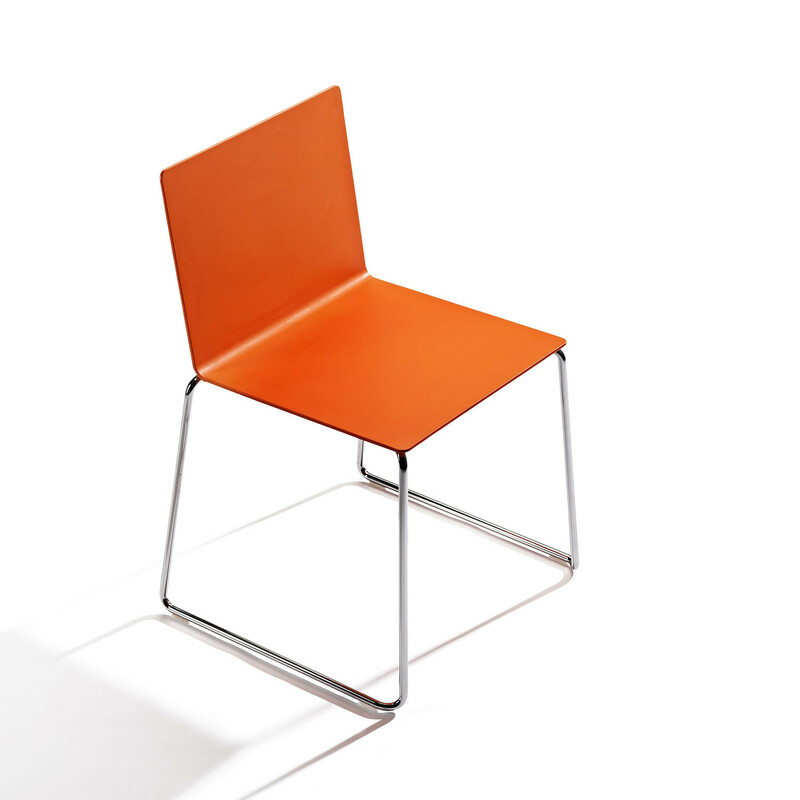 The shell of Dry Chair is molded in PUR rubber with in-molded steel structure. When empty it is straight and flat, but when occupied it adapts to the shape of human body. 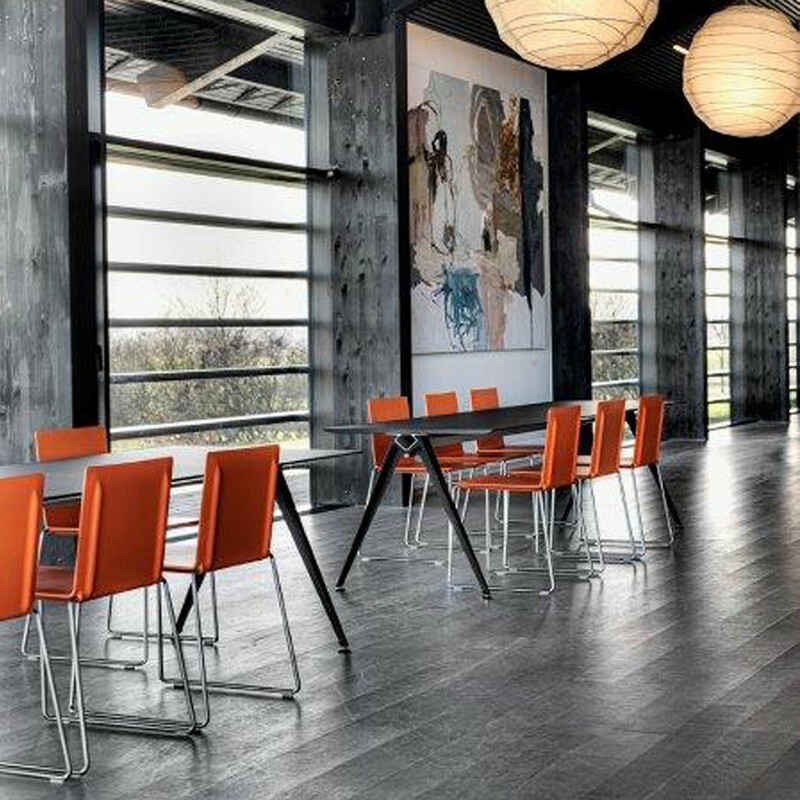 Thanks to the elasticity of PUR and an intelligent in-molded spring construction the shell provides seating comfort by both taking the body’s shape and by supporting it where needed. Stand up and and Dry Chair is straight once more. Ingenius design. 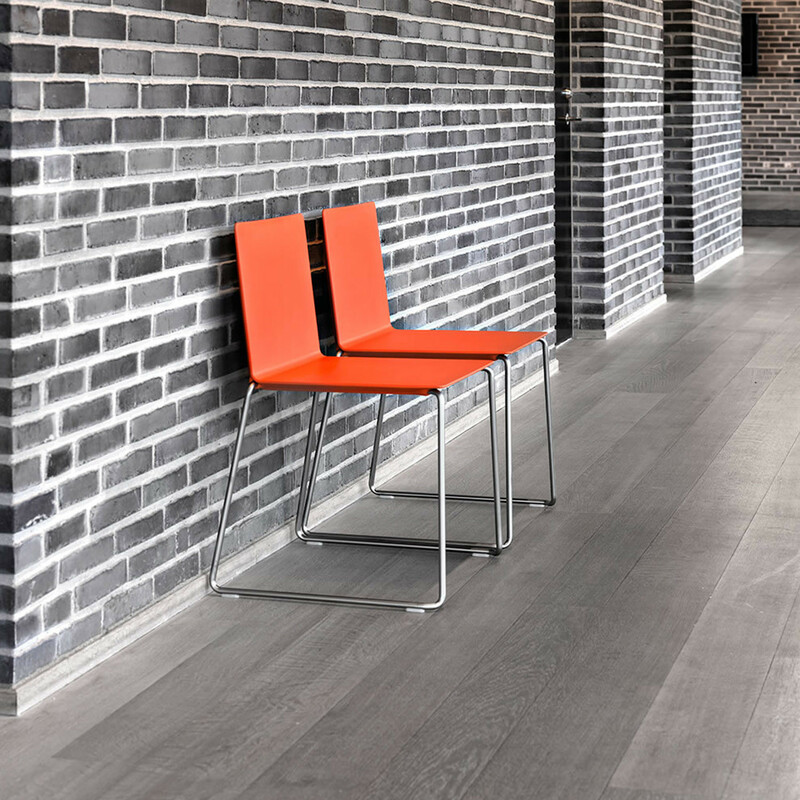 Minimalistic in its expression, Dry is a “silent” chair that can easily match any architectural surrounding without disturbing it and without demanding too much attention. 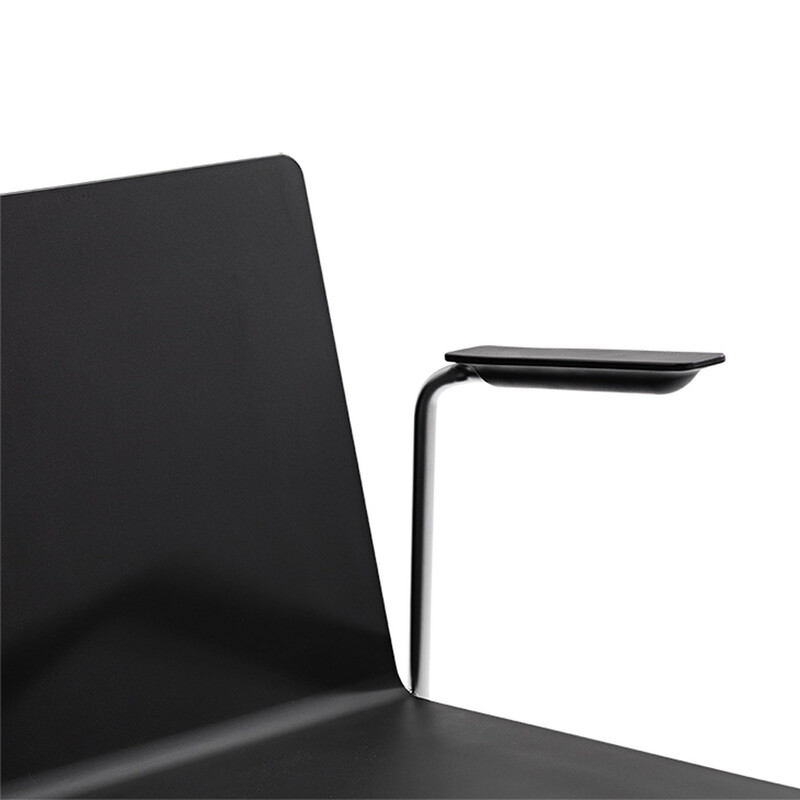 In spite of Dry Chair's modest idiom, its visually very thin “folded” plane pure shell with the “backbones” of construction clearly shown on the back side, gives it both clear identity and futuristic character. 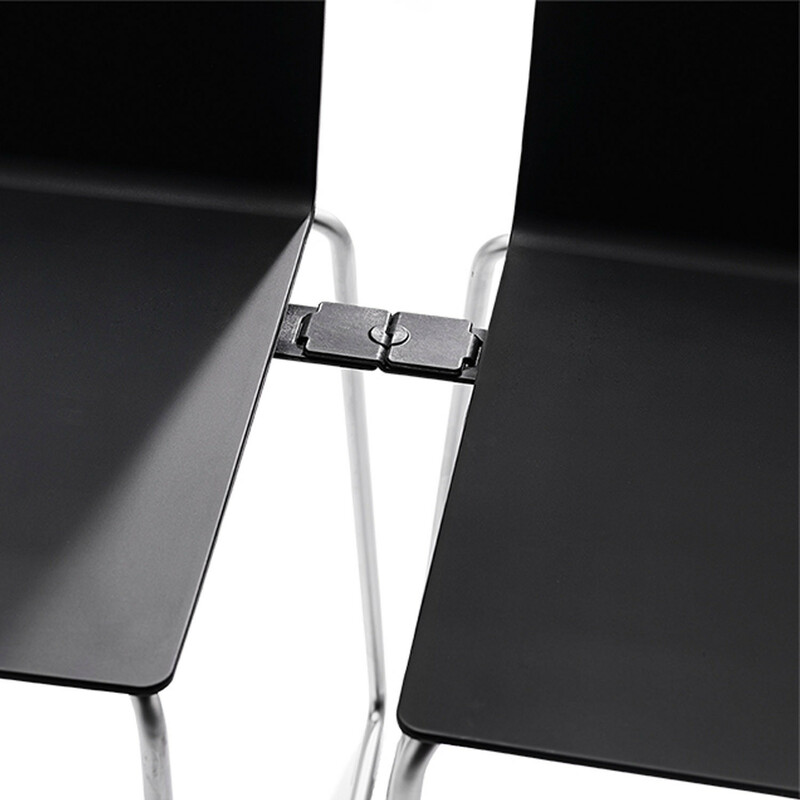 Due to the linking device integrated in the chair the row lay-out (auditorium) can be easily and quickly build up and disassembled. 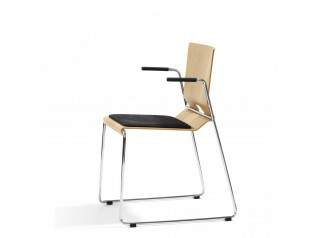 Dry Chair stacks easily and noiselessly both in version with and without armrests - 15 chairs stack on the floor and 30 chairs on the trolley not exceeding the height of a door opening. 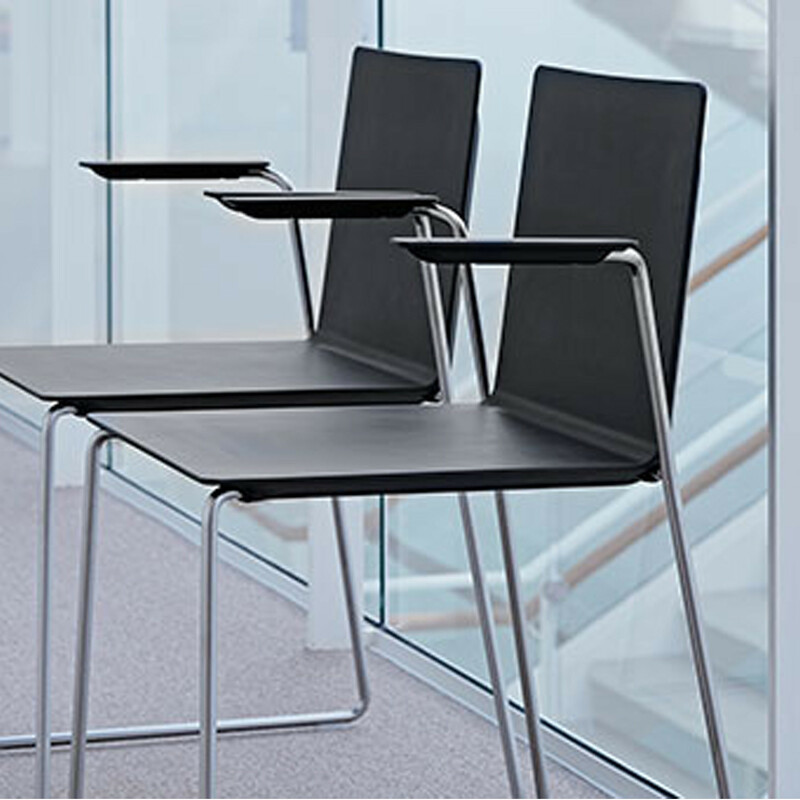 The all over PUR seat ensures that chairs are not scratched while stacking and don’t slide when a stack is being rolled on the trolley. 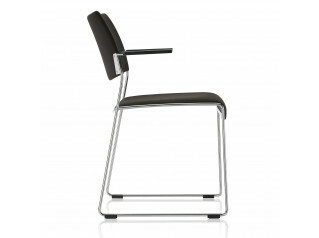 The softness of the PUR seat also provides scratch free resting of chairs (upside down) on table tops during cleaning. 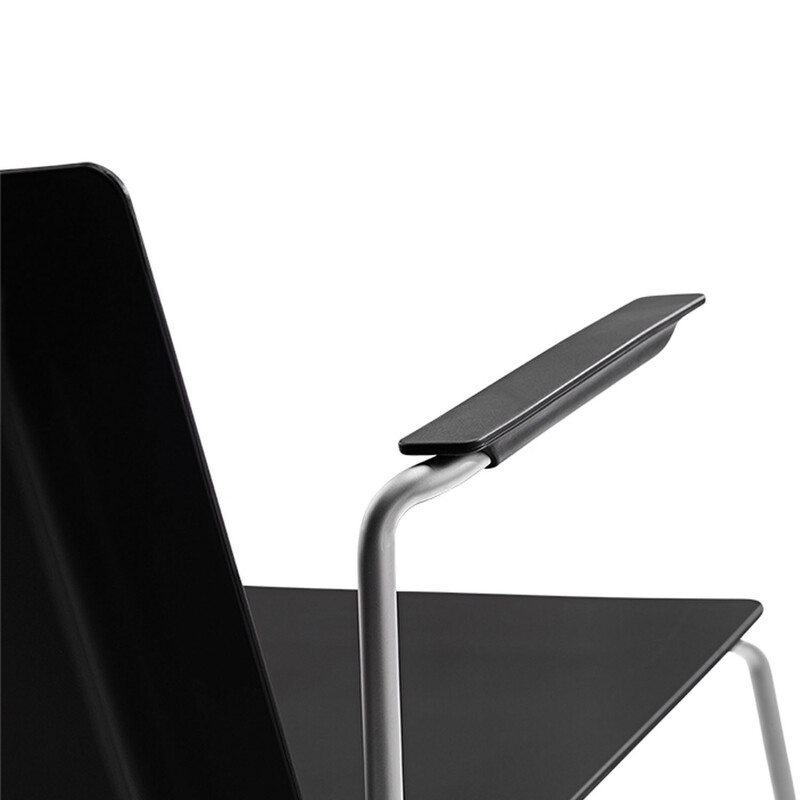 Moreover Dry chair with armrests can be hanged scratch free on the table without any additional device. 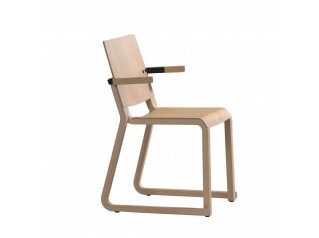 You are requesting a price for the "Dry Chair"
To create a new project and add "Dry Chair" to it please click the button below. 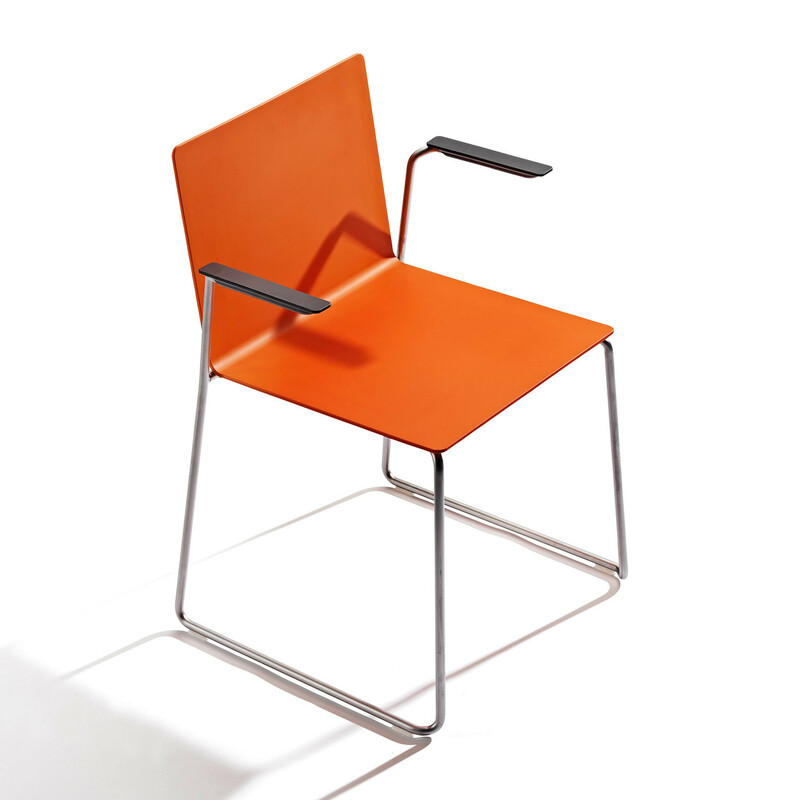 To add "Dry Chair" to an existing project please select below.